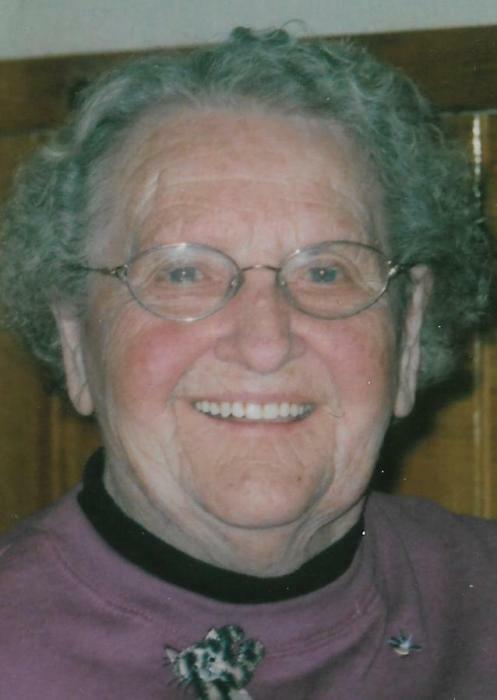 CAMBRIDGE – Florence G. Boelens, 93, of Cambridge, died at 9:55 p.m., Wednesday, February 6, 2019 at the home her daughter in Kewanee with her family by her side. A Mass of Christian Burial will be celebrated at 10:00 a.m., Monday, February 11 at Saint John Paul II Parish in Kewanee. Celebrant will be Fr. Johndamaseni Zilimu. Visitation will be held from 3:00-5:00 p.m., Sunday, February 10 at Rux Funeral Home in Kewanee with recitation of the rosary at 4:30 p.m. Burial will be in St. Anthony’s Cemetery in Atkinson. Memorials may be directed to the Florence Boelens Memorial Fund. She was born January 9, 1926 in Annawan, the daughter of Julius and Martha (LeFevre) VanAutreve. She married Raymond C. Boelens on February 3, 1945 in Atkinson and he preceded her in death on December 15, 1996. Survivors include her son, Francis (Pat) Boelens of North Liberty, IA, her daughter, Mary Ann (Tim) Anderson of Kewanee, six grandchildren; Kris Fields and Kirk (Amy) Boelens, both of Moline and Chad (Amber) Anderson, Jason (Laura) Anderson, Kari (Matt) Clark and Kali (Nate) Nichols, all of Kewanee and nineteen great grandchildren. She was also preceded in death by her parents. Florence was one of a kind. She always had a smile and kind words and never a complaint. She was an amazing wife, mom, grandma and friend. Those that were blessed to have Florence in their life remember her as one of the sweetest ladies they know. She took pride in her children, grandchildren and great grandchildren. She spent many days on the farm baking cookies with them, letting them swim in the hog tank, play in the corn and ride dirt bikes. Whatever they dreamt up, she would let them do. She never raised her voice and always had time for love and hugs. She loved working in her garden, taking care of her cats and taking pictures of the farm. She was a member of Saint John Paul II Parish in Kewanee and the Altar and Rosary Society at St. John Vianney Catholic Church in Cambridge. Florence had an amazing life and was a blessing to all who knew her.